Mom and I are attending the Catoctin Colorfest in Thurmont, MD this weekend. I finished and posted about my little Fall Owl Quilt. I also finished knitting my first sock for Samantha, and have cast on sock #2 so I don't get sock-i-tis. I talk extensively about The Banned Books Project and throw out my PRIZE for entering your finished project in the Flickr Group: here. Quilting the Fassett quilt for me, but I have a question for you all about your walking foot quilting bar: how do you keep yours from shifting while quilting? I don't think I mentioned what I'm working on: Spiderweb Quilt, more owl mini quilts, and a knitted cowl. $25 gift certificate to the Fat Quarter Shop!! Coincidentally, I was listening to an older Pat Sloan podcast, in which she interviewed the Piece O Cake ladies. They said they used Adobe Illustrator to make their applique patterns. However, you might want to check out Carla Barrett's e classes. http://featheredfibers.wordpress.com/ She does a lot of designing using Photoshop Elements. I took her Photoshop Elements course and her Quilt Whisperer course, and they were both fantastic. Note - I haven't used PSE to design anything, and I've never used Illustrator, so I really don't know which is better. But, I thought the info might be helpful. great podcast! and I'm not saying that just because you mentioned me, although that was cool :-) I learned a few things that I didn't know before and for me that is time well spent. Hey Tanesha, just finished listening to your podcast. 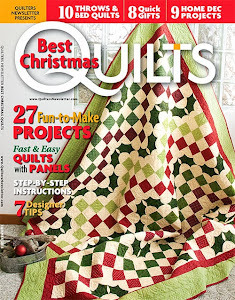 I found The Quilters on Abe Books for $3.79 including shipping. It has a different cover so I am hoping it is the same book. I love listening to those old stories. Oh, and I just ordered Wild on audio. Have a trip to Austin planned in a couple of weeks. Thanks for sharing. Follow up to my previous comment. Okay, okay I also ordered Angela Walters book but that's it, no more book reviews lol. I enjoyed the podcast. It brings me back to when my daughter was in kindergarten and all the joys/craziness of that time. If I ever start applique, I am sure that I will come back and listen to your tips. Loved the stories; I enjoyed "Women's Studies" classed back when they were popular. SInce you were talking about old-timey quilt stories, I wanted to include the link for one of the best. Dorthy Canfield Fisher wrote one of my favorite children's books, "Understood Betsy." I did not know that she wrote lots of adult books and stories, but read them all when I made that discovery. The short story "The Bedquilt" is in her story collection "Hillsboro People." All the stories are worth reading, but "The Bedquilt" is one of the best. 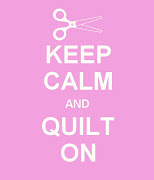 I have had the very same thing happen with my quilting bar. I had a Kenmore (made by Janome). VERY annoying. I went back to using painters tape. I not have an older HQ16 so no longer have to worry about how to quilt my quilts. I love the little owl. I think I would like to make a table runner and hot pads for my daughter using your little owl pattern. She loves owl stuff. It would be a Christmas gift. I promise to post a photo when I get the project completed. 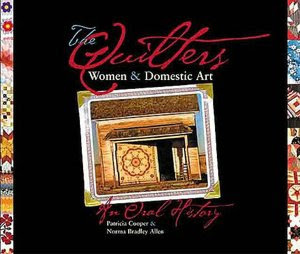 I just want to say that your reading of the paragraghs out of the book, Quilters: Women and Domestic Art was so interesting. You should be narrating audiobooks! Thanks for sharing this book with us.